senseFly is the leading provider of professional drone solutions. senseFly believes in using technology to make work safer and more efficient. What UAV solution do you use? Blue River Technology is disrupting chemical intensive agriculture using artificial intelligence, computer vision and robotics. FieldAgent is an image and data management mobile, web, and desktop platform. Pix4Dmodel is a software to start 3D modeling with your consumer drone.This tool processes images automatically in Pix4Dmodel to create photorealistic 3D models from drone images. MicaSense is at the forefront of multispectral sensor development. MicaSense helps agriculture specialists and companies make the right decisions for their fields through high quality data from its RedEdge sensor and informed analytics in Atlas. Solvi is a quick & easy way to get insights and actionable data from aerial imagery for better and more effective agriculture. SLANTRANGE's airborne remote sensing systems and analytical tools provide farmers and agronomists valuable new information on the health condition of their agricultural crops for improved decisions on inputs. Taranis is a precision agriculture intelligence platform that helps farmers monitor their fields, make informed decisions and then act on them. DroneMapper's RAPID is a Windows (64bit) based photogrammetric imagery processing and GIS application. LiveNDVI video technology is the latest groundbreaking technology from Senter. The Sentera Double 4K sensor allows you to livestream NDVI video at the field's edge while your drone is still in the air. OODA Farm web and mobile App helps you make the most of the remote sensing data of your field to improve your botton line. 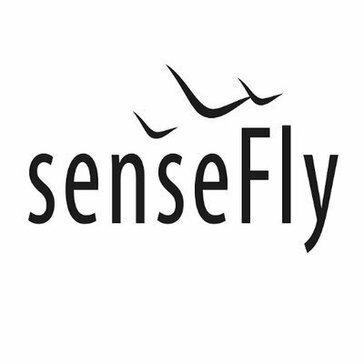 * We monitor all senseFly reviews to prevent fraudulent reviews and keep review quality high. We do not post reviews by company employees or direct competitors. Validated reviews require the user to submit a screenshot of the product containing their user ID, in order to verify a user is an actual user of the product. Hi there! Are you looking to implement a solution like senseFly?